Epping St. John’s is a stunning, multi-million pound building with state of the art facilities and learning spaces. The whole design of the new school has been based on our commitment to enhance learning and teaching. We want to build on our strengths and create exciting, engaging and effective learning experiences for our students. 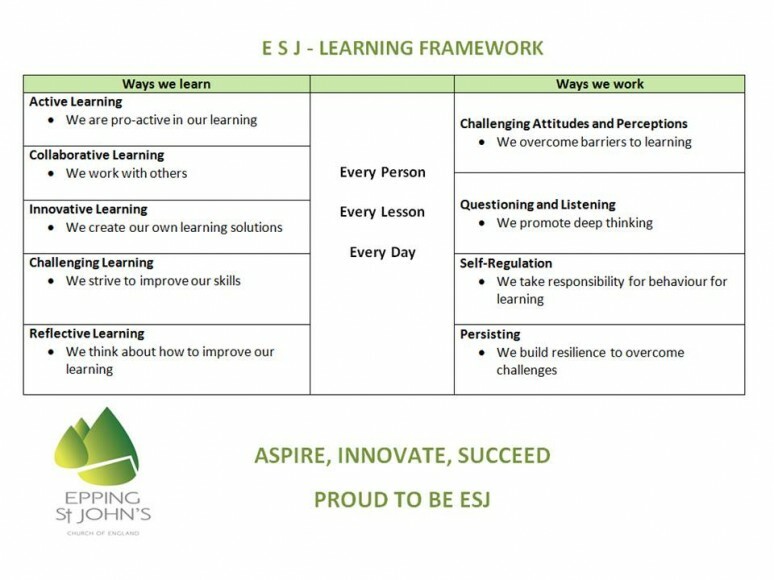 To facilitate this staff have been working hard to collaboratively create a bespoke Learning and Teaching framework that both sets out our learning and teaching expectations whilst also guiding our practice.